Home > Health > What food have magnesium? Magnesium is an important mineral for the health of the body, it is found in cells, tissues, and organs. Specifically, body content of magnesium in the adult organism is equal to about 25 grams, 60% is present in the bones, 39% is intracellular and about 1% is found in liquids outside the cells. The quantity of this important element is regularly balanced in the organism, thanks to the interaction with other minerals. If magnesium begins to fail in the cells, the body withdraws it from its reserves, that is from the bones and the liver, causing the first symptoms of deficiency. Magnesium is important for health, as it helps the muscle cells to relax, including those of the heart. Magnesium is also essential for the process of mineralization and development of the skeletal system. A magnesium deficiency has been linked to heart disease, irregular heartbeat, and palpitation. 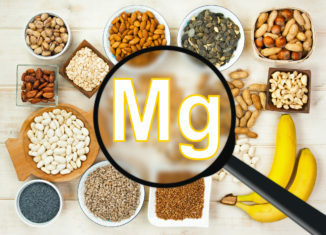 Recent studies have shown that diets rich in magnesium can promote the reduction of blood pressure, especially among the elderly, and avoid the onset of heart problems. The recommended daily dose of magnesium is around 500 milligrams. It has been seen that people who eat many magnesium-rich foods also have a lower risk of stroke. Magnesium is a mineral present in various foods, especially of plant origin. You can, in fact, find plenty of green leafy vegetables, such as beets, artichokes, and spinach, dried fruit, walnuts, almonds, cashews, peanuts, pistachios, and hazelnuts are rich, and legumes such as lentils and beans. Whole grains contain a high dose of magnesium, such as brown rice and bran in general, as well as whole-meal bread. Bitter chocolate, cocoa, and mushrooms are among the first on the list in terms of contained magnesium. Fruit is also rich in magnesium, like Kiwano melon, a special fruit with rehydrating and antioxidant properties. The bananas contain three times as much magnesium present in prunes, oranges, apples, and pears. Meat, fish, and milk are sources of minor importance. The Noni fruit (Morinda citrifolia) contains minerals such as magnesium, iron, potassium, selenium, zinc, calcium, sodium, copper and sulfur. whole grains and flours: therefore in general bread, pasta, sweets and breakfast cereals should be preferred as whole-meal products. fatigue, muscle weakness, irritability, mood changes, agitation, muscle cramps. In severe cases also abdominal cramps and changes in the heartbeat. None of these manifestations is related only to the contribution of magnesium, so it will be necessary, especially if the intensity is relevant, contact your doctor. The incorrect diet is the first cause of the lack of the element, however, it is not the only one: intense physical activity, physical and mental stress, can, in fact, cause a deficit of this mineral. In addition, laxatives and some diuretic drugs increase their losses. What drinks for a sore throat?